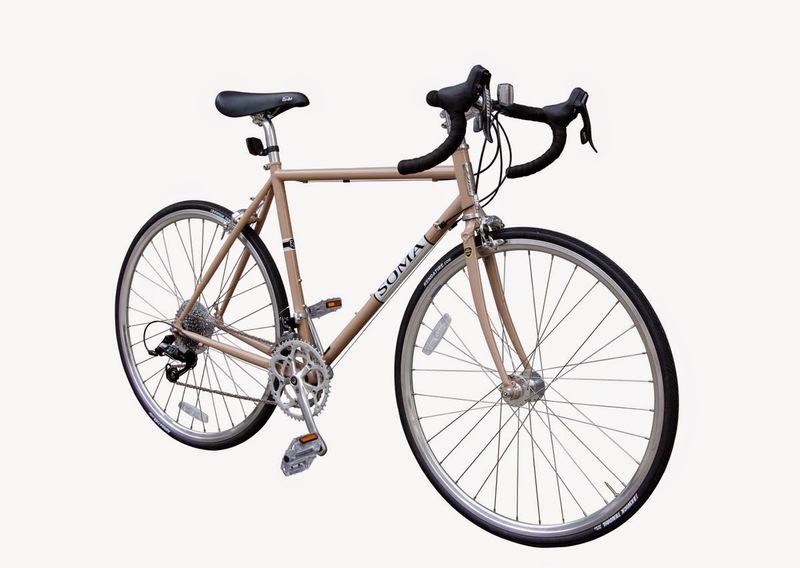 FREE SHIPPING on Soma Bikes! Specs for the 2015's are up on www.somafab.com. The Double Cross Complete for 2015 (not offered in 2014) comes with bar end shifters, Sugino XD crank, SunXCD rear derailleurs, and big 700x38c Kenda tires. Steerer tubes are cut extra long and bar tape comes uninstalled to give shops more opportunity to fine-tune the builds. Polycarbonate BMX "test" pedals come with each bike. 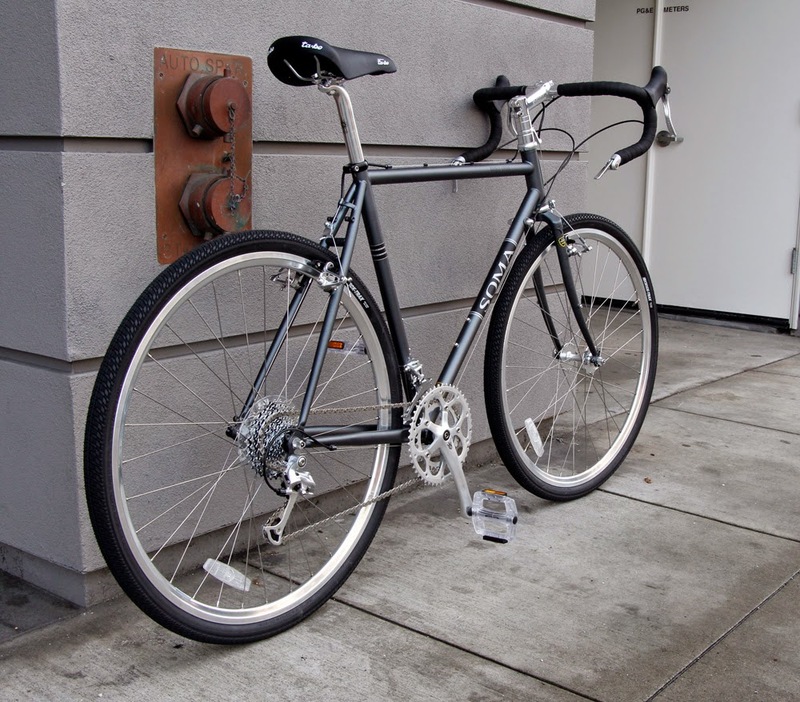 The ES Complete comes with Sugino Alpina cranks, SRAM Apex shifters/derailleurs, and Soma HwyOne Bars. Handy and practical SRAM 11-32t 10-speed cassette, because 11-25t on a non-racing bike doesn't make sense. 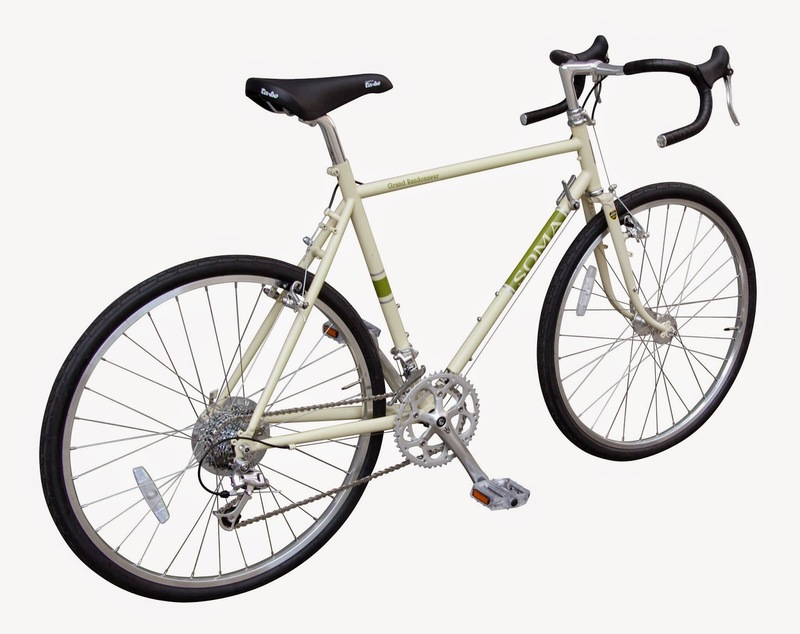 This is the first time we are offering the Soma Grandonnuer as a complete. 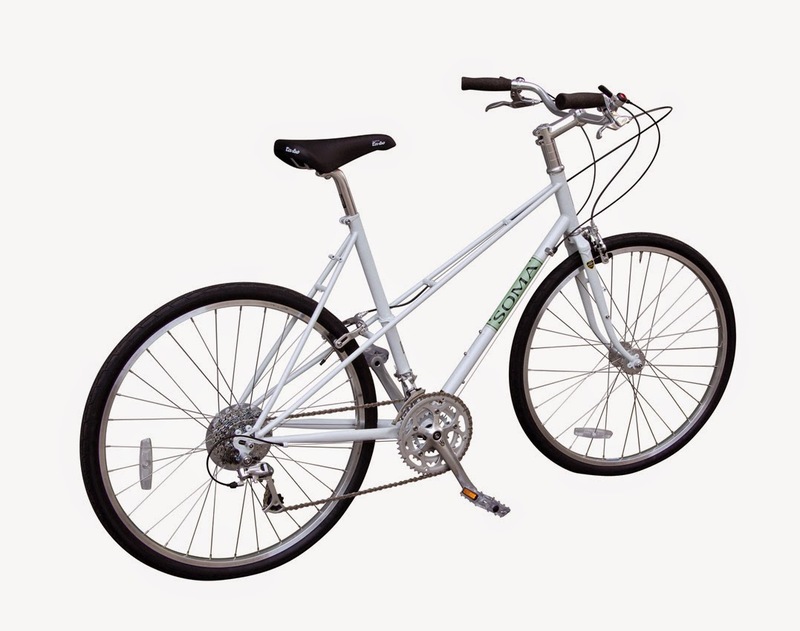 popular HwyOne compact bend road bars. 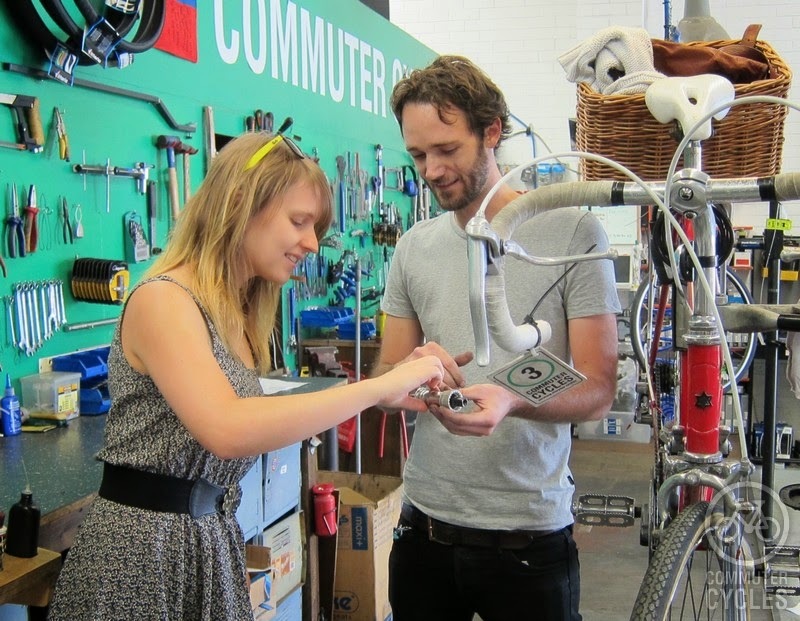 Commuter Cycles in Brunswick, Australia bills itself as a "bike shop with a difference". "We offer tailored servicing and repairs, reliable accessories and good value replacement parts. 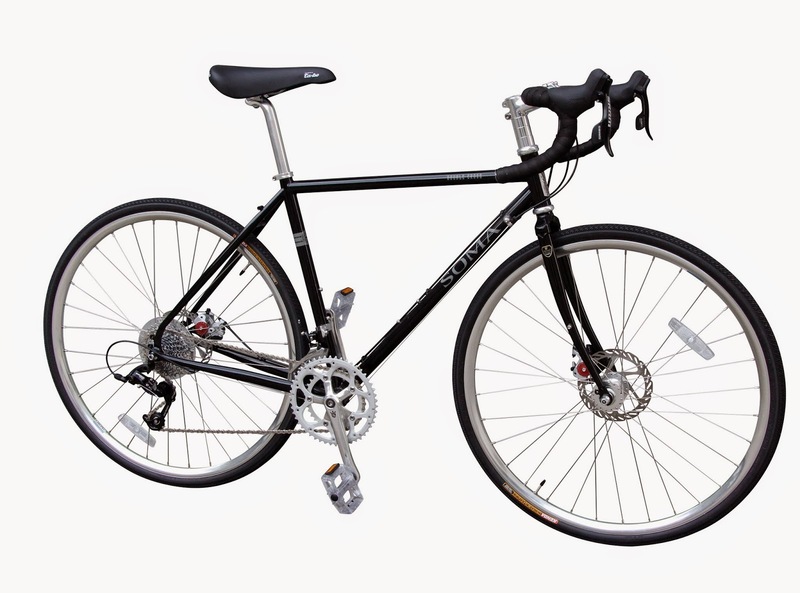 We take great pride in our workmanship and think bright lights, panniers and mudguards are cool. 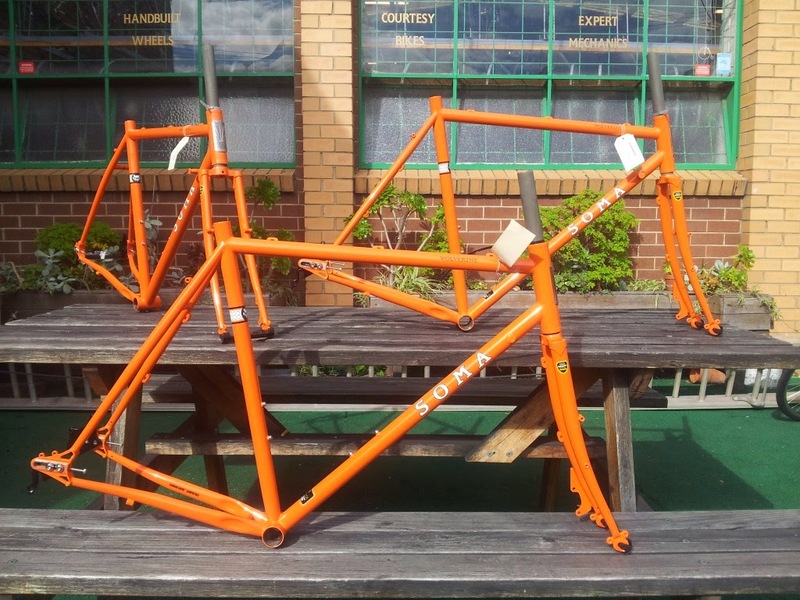 At Commuter Cycles, the workshop is the shop, so you deal with the same people who look after your bike. 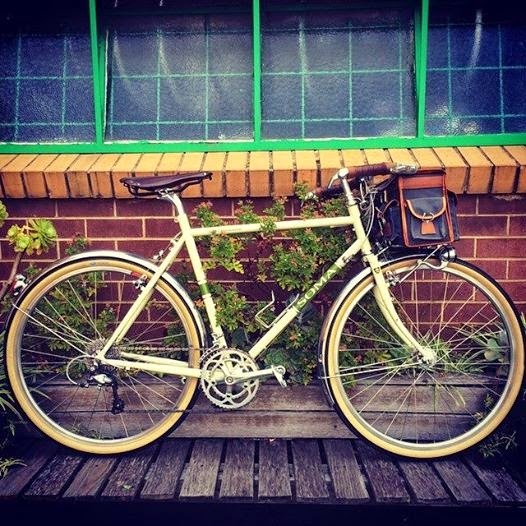 Better still, Commuter Cycles makes looking after your bike easy by offering courtesy bikes, opening early and closing late, and we’re conveniently located next to the Upfield bikepath and Brunswick station." 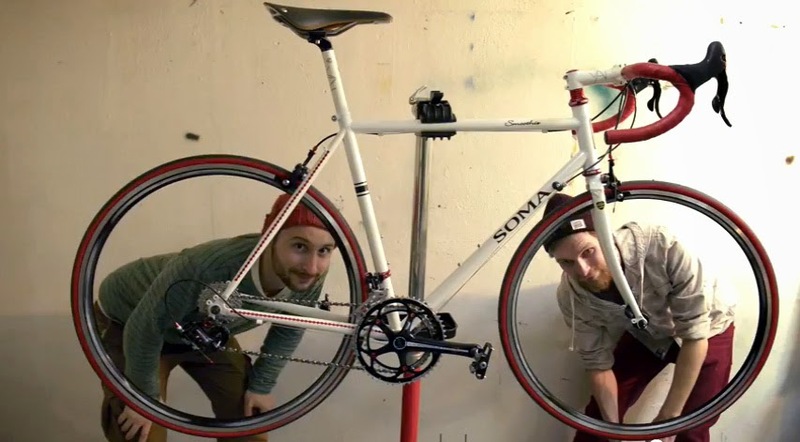 Helsinki Underground Bike Shop made this warm and wonderful time-lapse video of them building up a Soma Smoothie with a number of fine red and white components. Anton and Henri of HUG Bike Shop in Finland.